(November 12, 2018 -Toronto, ON) Many actors are known and remembered for one iconic role. Humphrey Bogart as Rick in Casablanca, Rita Hayworth in the title role of Gilda are just two of hundreds of examples. 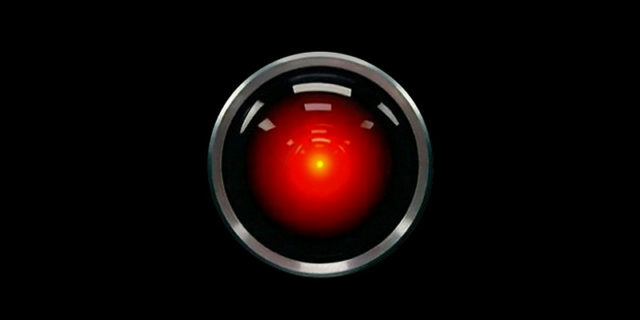 Canadian actor Douglas Rain, who died on Sunday, November 11, was known not for an on-screen appearance but for his monotone delivery as the voice of HAL 9000 in the Stanley Kubrick classic 2001: A Space Odyssey. What was usually overlooked was his long career onstage. Douglas Rain was not just a stage actor but he was part of the Stratford Festival’s founding company and remained a stalwart of their productions for decades. In the festival’s first season in 1953, Rain played the Marquis of Dorset and Tyrrell in Richard III. He went on to appear on the Ontario theatre company’s stages for 32 seasons. Other appearances include being in the cast of Macbeth (1978) with Maggie Smith as Lady Macbeth, and Humpty Dumpty in Alice Through the Looking Glass (1994), with Sarah Polley. He made his last appearance at Stratford in 1998. Born in Winnipeg in 1928, Douglas Rain began his career as a child actor on CBC radio. He later attended the University of Manitoba, studied acting at the Banff School of Fine Arts in Alberta, and then at the Old Vic Theatre School in England. Douglas Rain was 90 when he died of natural causes on November 11 at St. Marys Memorial Hospital in St. Marys, Ontario. The Stratford Festival has announced that they will dedicate the coming season’s production of Othello to his memory. Click here for more about Douglas Rain.